Karen is Chair at Glasgow Women's Library, is on the advisory board for Co-operative Development Scotland and is one of the women cited by Co-operative Women's Challenge as being most influential within the co-operative movement. Experienced entrepreneur with a strong commercial and strategic perspective, excellent interpersonal skills and personal experience of creating and supporting co-operative enterprises. Chair and Board Member with specific remit of creating champions within and beyond the library to raise the profile of the library and aid fund-raising. built a growing number of contributing members/ambassadors who have expertise across all sectors from senior corporate roles to youth enterprise. the company supports and advises businesses, particularly SME's, on ethical business practices, through workshops, presentations and consultancy. First book published 2011, Ethiconomics. advised the Scottish Government on the national e-commerce strategy. On leaving university trained within the NHS and qualified as a medical microbiologist before joining Malthus Instruments, first in developing specialist bacterial growth media and later taking key account responsibilities within the sales department. From there joined Thermochem, a specialist water treatment company and was the first woman to work in this male-dominated industry, becoming sales person of the year in each of the years employed. Recently completed a 400 mile walk around Scotland to raise money for Breakthrough BreastCancer and writing a book about this adventure from the blog recorded while walking. 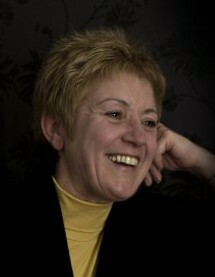 Former communications chair at the Association of Scottish Businesswomen and member of the policy committee. Appointed by UKFEA in 2011 as one of just 50 women in the UK as an ambassador to promote enterprise and entrepreneurship. Speaker at International Women’s Day and other conferences, and regularly speaks at workshops and events on leadership, women into business and ethical business practices. An accomplished water colour painter, selling artwork since 1978 and since 2006, a commercial artist with sculptures in galleries across Scotland.